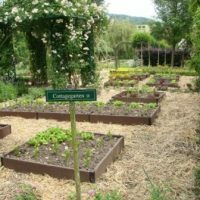 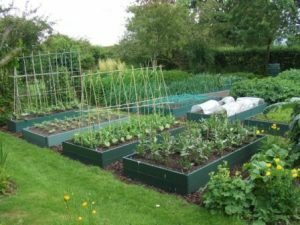 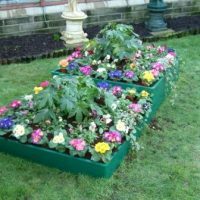 Link a bord 30cm high raised bed kits provide an excellent depth of growing media for a wide range of subjects such as longer rooted vegetables (carrots, parsnips etc), shallow rooted fruit bushes and flowers. Small varieties of potatoes will happily grow in 30cm as will beans and peas. 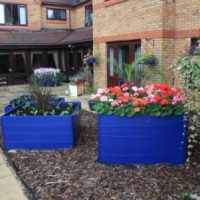 Each kit is supplied with all the relevent parts necessary and can be put together quickly and easily. 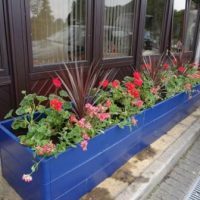 Prices start from £34.00 for a 50cm x 50cm x 30cm high kit.